Dubai, UAE, October 29, 2018: With the latest edition of the Italian Cuisine World Summit close at hand, foodies in Dubai will get a firsthand experience of the diversity and allure of Italian cuisine. Celebrating one of the world’s most favoured cuisine with home-cooked Italian fare is Casa Mia, Le Méridien Dubai Hotel & Conference Centre's award winning restaurant that is revered by true Italian food lovers since the last 2 decades. This quaint Italian restaurant has always been at the forefront of reviving Italy’s culture of gastronomy, by recreating comforting flavours of the region’s specialties. 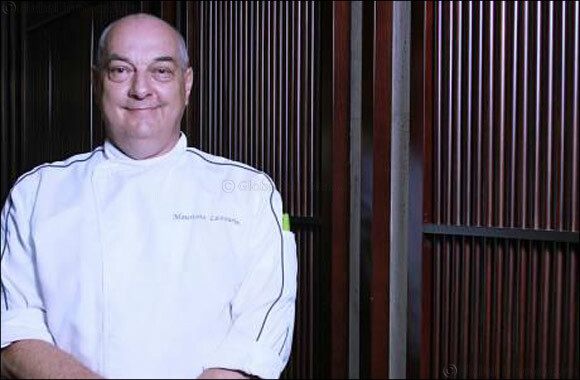 Offering Italian fare aficionados a feast for their senses, Casa Mia’s immensely talented Chef Maurzzio will join hands with guest Michelin star Chef Roberto Franzin to delight patrons with a unique menu from 30th October to 1st November, 2018, 7:30 pm onwards. The 5-course dinner boasts of Chef Roberto’s MACINO signature offerings, featuring a healthy and eco-friendly selection of pastas made from sustainably produced flour. Chef Roberto’s key inspiration for MACINO was to reinvigorate the agri-food production of Italy and prevent the loss of nutrients, which often impacts the earth and our health. With pasta flour created from grape marc, apples and derivate of hops production, guests at Casa Mia can enjoy the comforting flavours of Gnocchi di pomodoro, stracciatelle e gamberi rossi while seafood aficionados can tuck in Tomato gnocchi, stracciatelle and red prawns. Featuring pasta made from apple flour is Tagliolino Macino, cooked with cold apples and served with raw mollusk and crustaceans. Turning ancient Piedmontese traditions on its head, Chef Roberto will offer Tajerin 32 Tuorli e tartufo D'Alba, marrying the finest organic ingredients with delicate flavours, finished with luxurious Alba truffles. Besides the signature offerings of the 5-course meal, priced at AED 250 per person, guests can also enjoy a selection of premium Italian grapes, sourced from across the landscape of Italy, and pair it with the special à la carte menu to experience the wonderful symphony of flavours of Maurzzio and Chef Roberto’s culinary masterpieces at Casa Mia. Previous Story : Celebrate this Diwali with Moombai & Co.